Beck's and his tummy. I promise you'll be singing the theme song for days. Help David Beckham keep his balls in the air. Click on the options to see Beckam juggle the golden balls. If you want to play Beckham Golden Balls games online you have come to the right place! GamesLoon adds new Beckham Golden Balls games every week. This is your game portal where you can find the biggest collection of free Beckham Golden Balls games online. 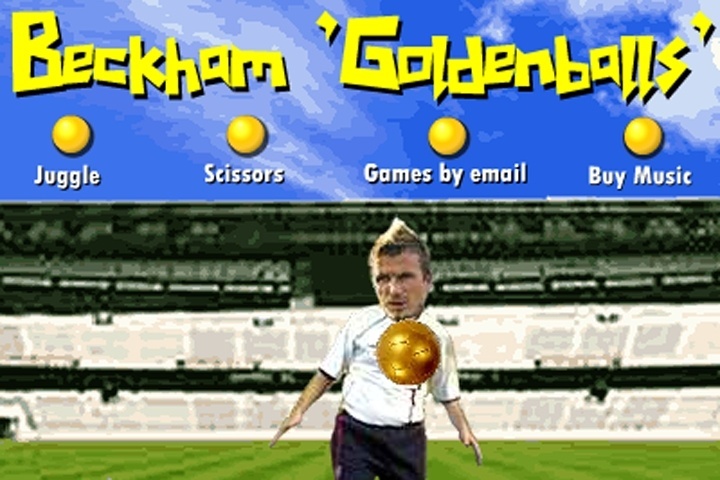 Do not forget to rate our Beckham Golden Balls free online games while playing!